Simpson, George (exors. 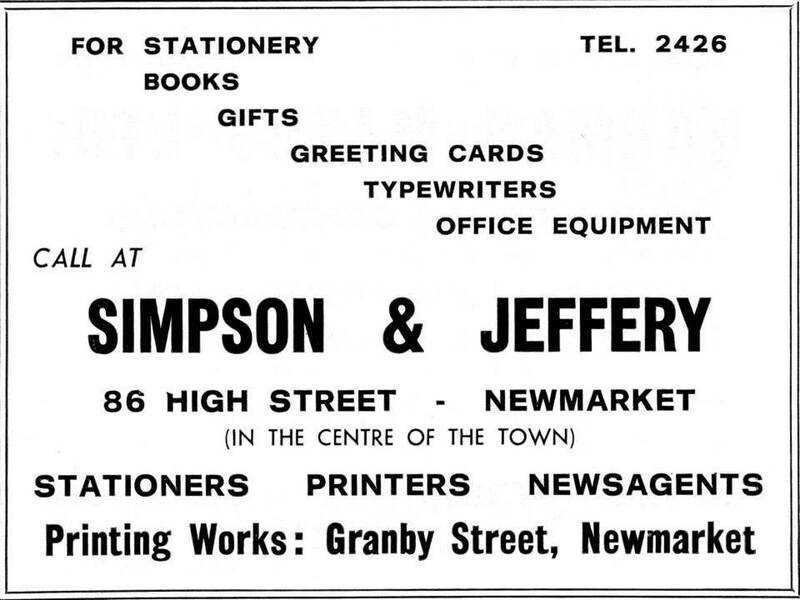 of), printers; office of the "Newmarket Journal"
# Note the shop numbers 84, 86 & 88 are those presently used and do not reflect the original numbering at that time. 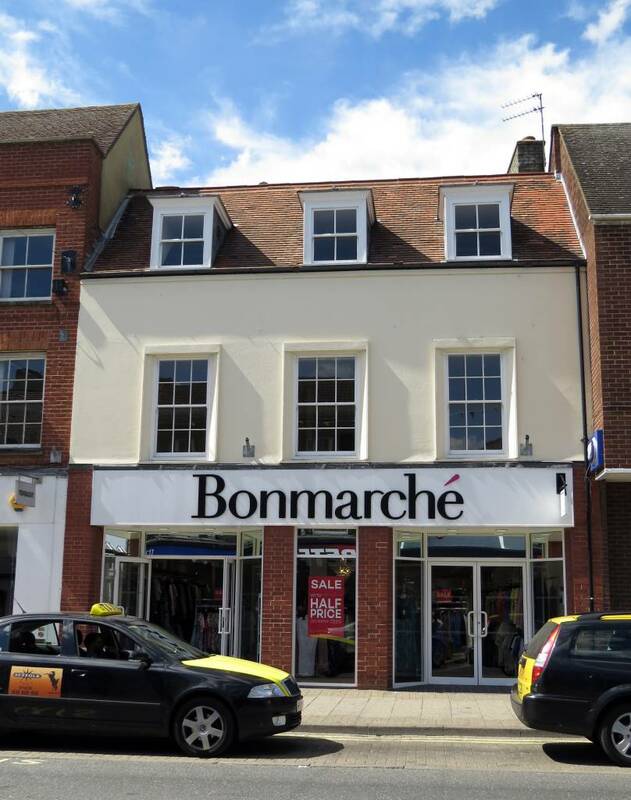 In early 2016 the Wakefield-based clothing retailer Bonmarché opened a new branch here in Newmarket. In 2013 W.H. 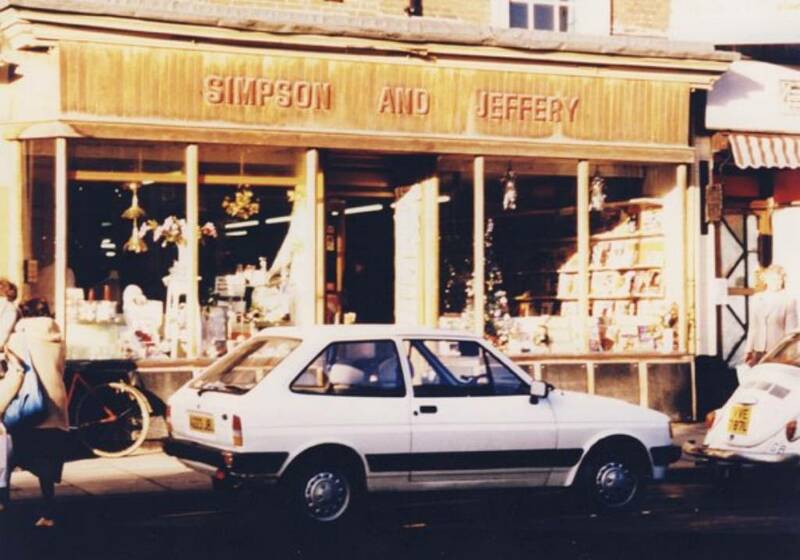 Smiths Newsagents, No.s 84-86 High Street closed and moved into its stationery shop at No. 80 High Street. W.H. 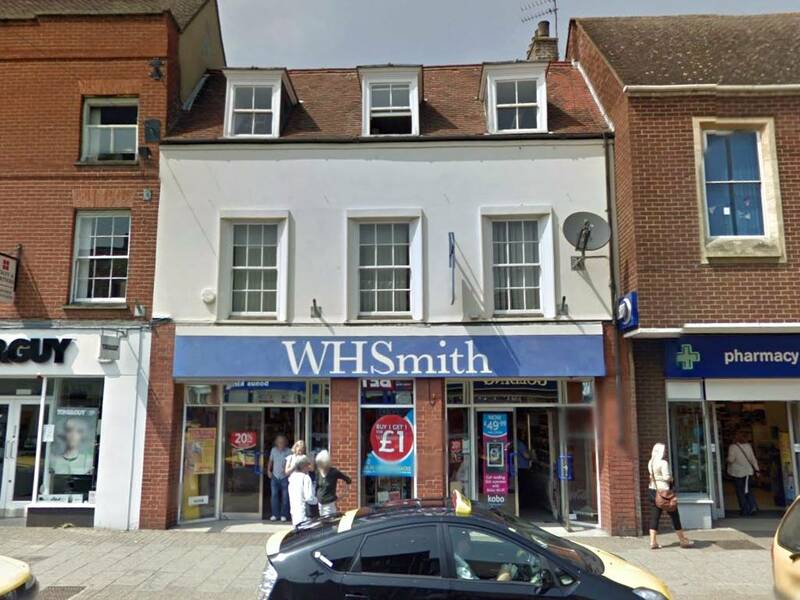 Smiths had been at this location since it took over from the previous stationers Simpson and Jeffery. 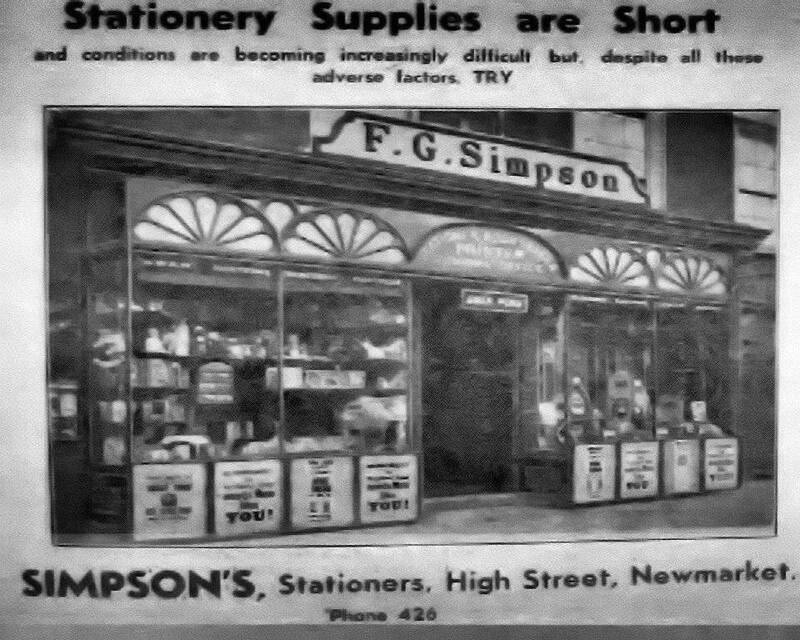 When opened it was originally stationers, bookshop and newsagents - the store later expanded and they opened the stationery shop at No. 80. 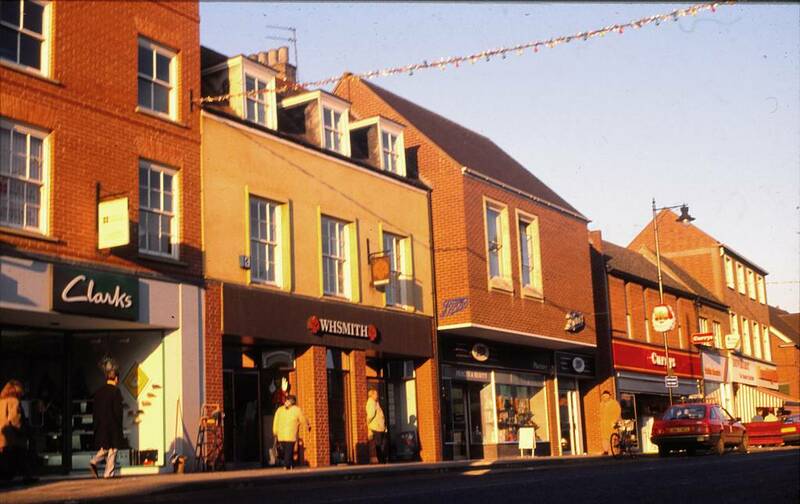 But with downturn in the retail market the planned Newmarket store was one of those that became part of Tesco's cutbacks - and the store never opened. 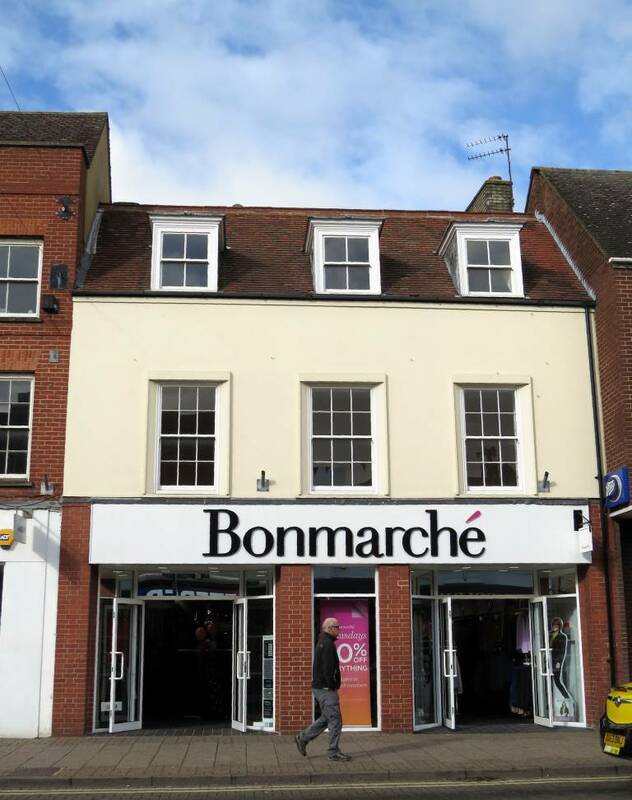 This location is another of those series of shops that have changed their boundaries over the years; George Simpson started his shop in No.86, then later extended it into No.88, bridging between two buildings. George Simpson, Master Printer, Bookseller and Stationer was born in 1837 in Newmarket. 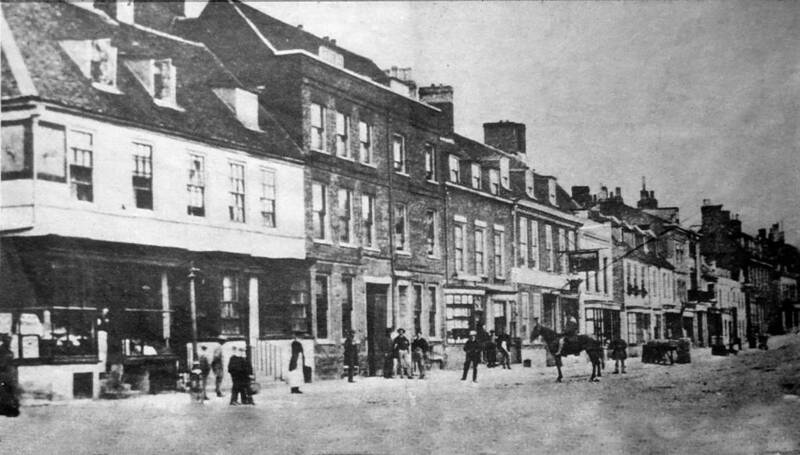 Living in Railway Street in 1861 he later moved to Kingston Villa, between Kingston Passage and Sun Lane. Both his son, Walter Henry Simpson and his grandson Frank Gilbert Simpson (b. 1890) were also printers. 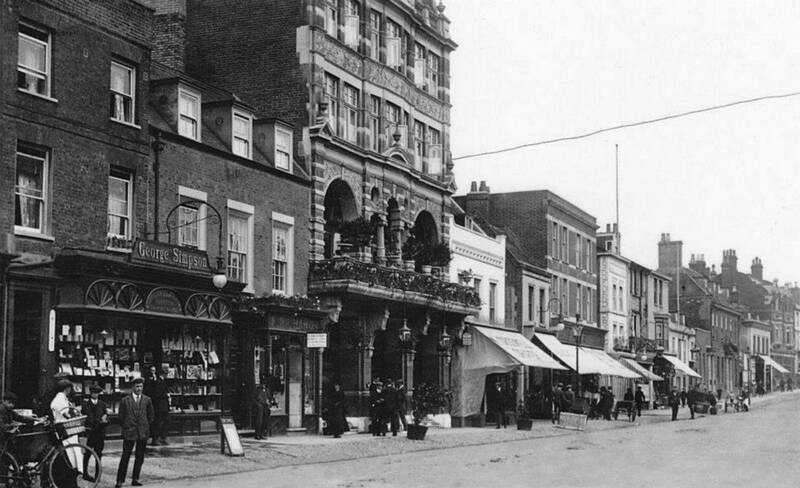 George died in September 1917 and the 1920s photo below shows that Frank had taken over the High Street shop by this time. George started printing the Newmarket Journal in 1872, but not in this actual shop - his printworks building was behind the shop in the Duddery, part of the Rookery. A gate at the rear of the shop allowed easy access to this. 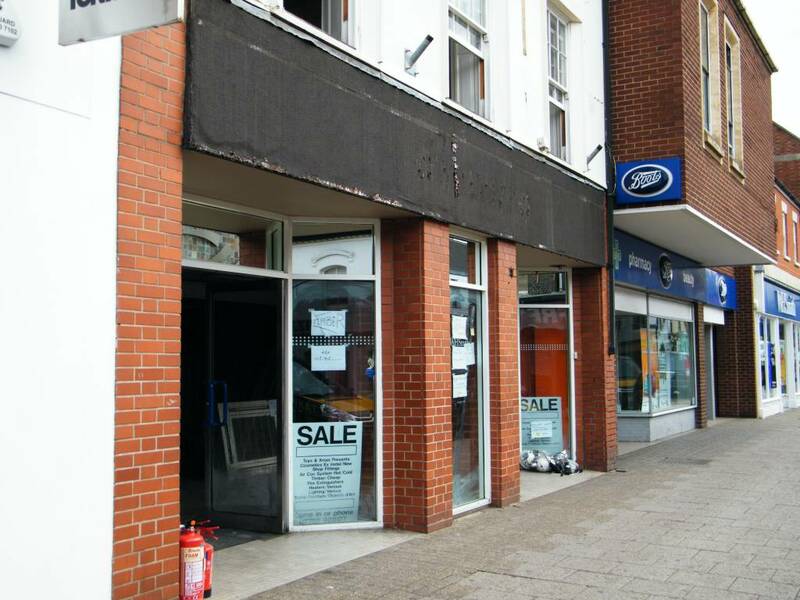 Frank Richard's Hairdressers was in the remainder of the right-hand side building, in what is now No.84. When the shop became Simpson and Jeffery - on the left of that, adjacent to the entrance into the courtyard at the rear, was a set of steps leading up to a door. This was the entrance into a long passage leading to the back of the building in which was Brumby hairdressers. FORMER Newmarket hairdresser Ronald Pettitt, of Jarvis Way, Newmarket, died at the Kingfisher nursing home in the town on August 3, 2007. He was 78. Born and living all his life in Newmarket, he became an apprentice when he was 14 in 1944 to Edmund Brumby, before working with his brother, Harry, in Wellington Street. In the early 1970s, he moved to premises on Exning Road where he worked until his retirement. When W.H. 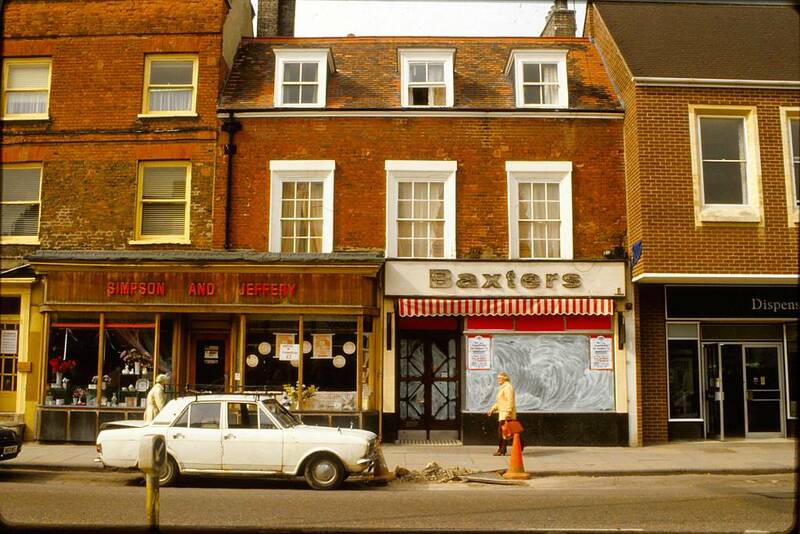 Smith took over from Simpson and Jeffery they returned the buildings to their original form; taking over Baxters Butchers on the right-hand side and re-making No.84-86 a distinct seperate entity. 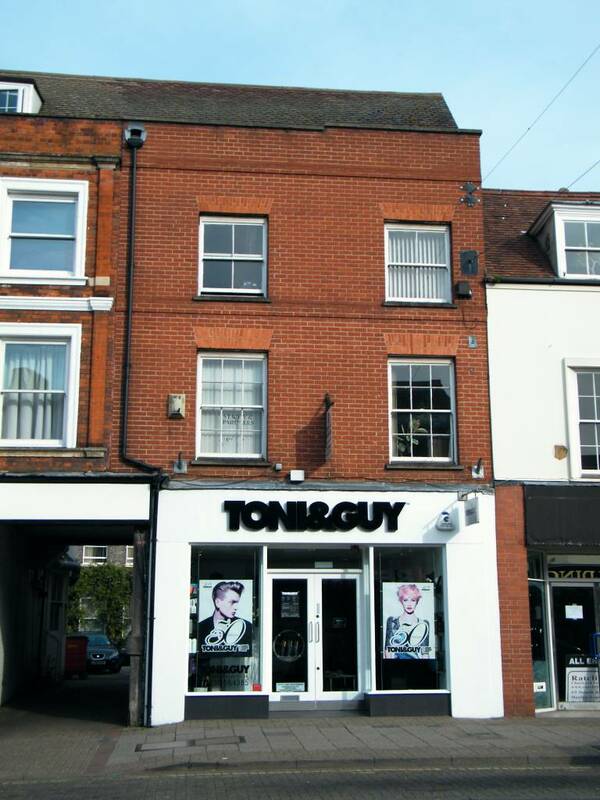 Clarks shoe shop took up residence in No.88, which became Toni & Guy hairdressers in 2005. 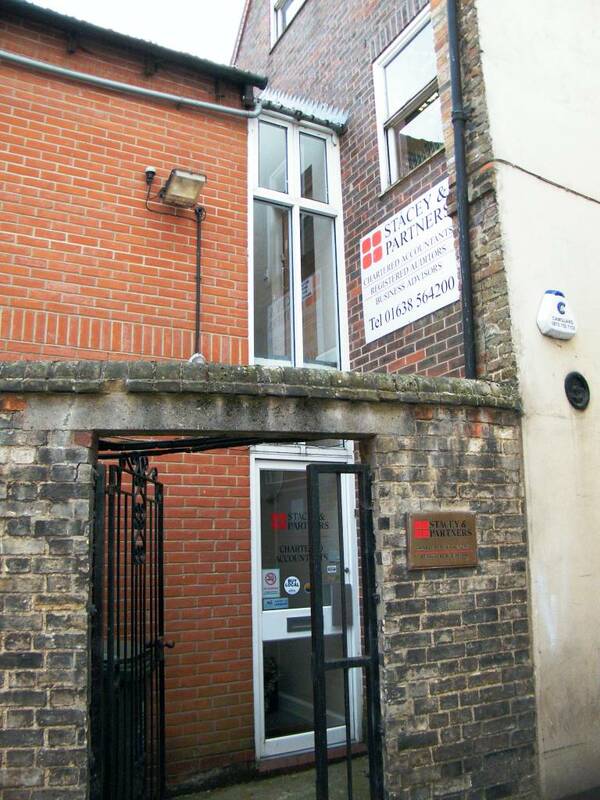 The High Street door into Brumby's has gone, and entrance into the upstairs offices of what is now Stacey & Partners Chartered Accountants is from the courtyard at the rear (if you search online you'll see their address is No.88 high Street). 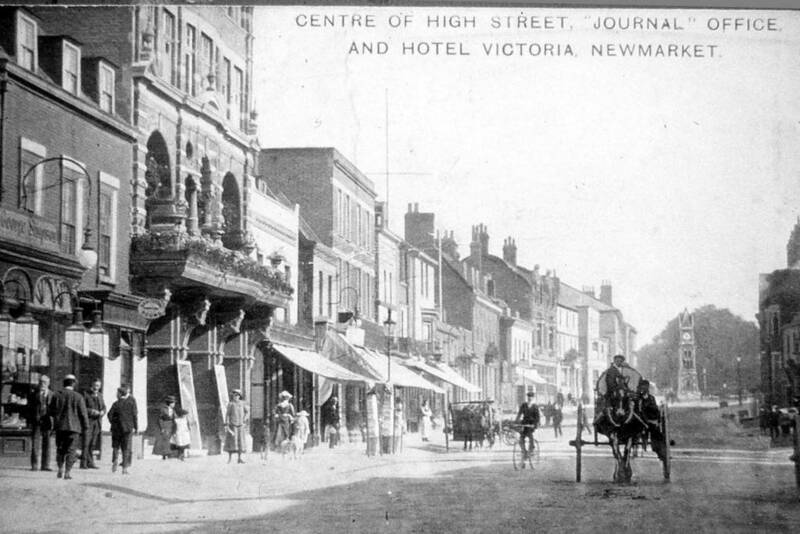 From adverts in the Newmarket Journal in 1975 it's also known that the long-time Journal photographer Peter Faulkes had his address as No.88 High Street. Butcher's shop and part of stationer's shop with dwelling above. 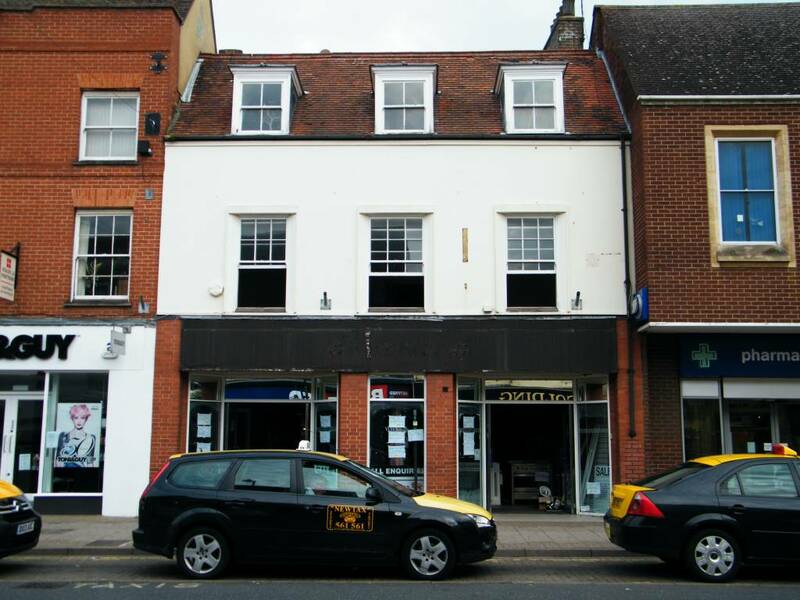 Alterations including extensions and c/use of first floor and second floor to offices. 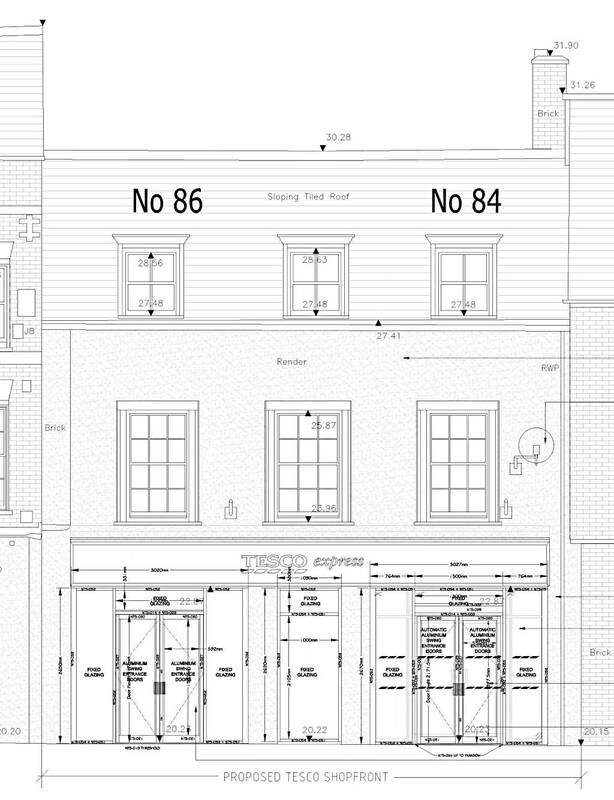 New shop front as amended by drawings 20/11/86. Removal and reconstruction of front wall. Display of internally illuminted fascia and projecting signs. 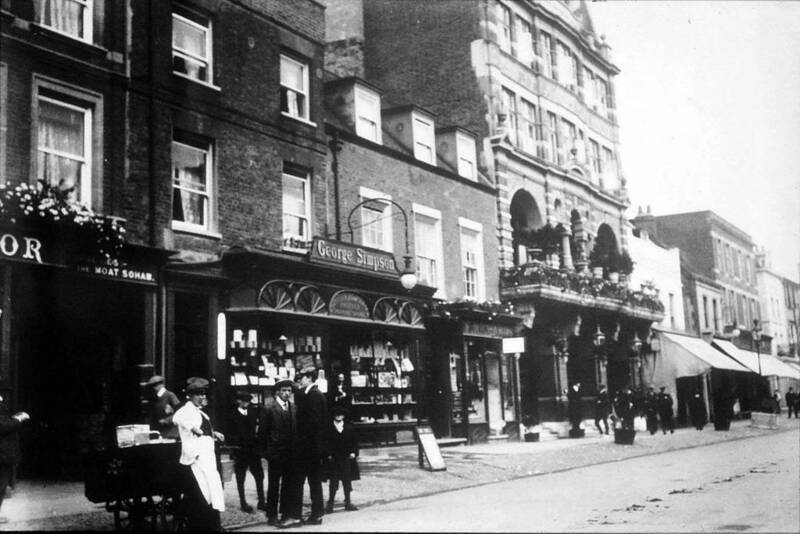 'Simpson & Jeffery and Baxters c. 1985', 'Centre of High Street c.1910s', 'Journal Office c. 1900s' and 'from Sun Lane c. 1890s'. 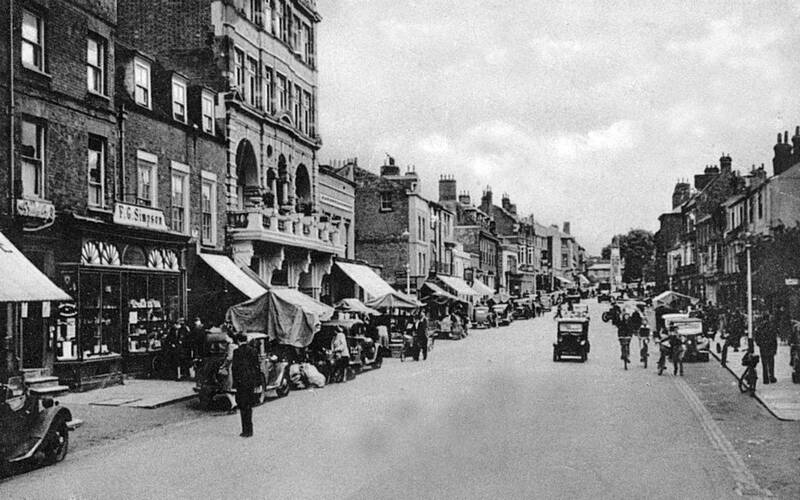 Many thanks to 'Old Newmarket' for the photos 'F.G. Simpson late 1940s', 'F.G. 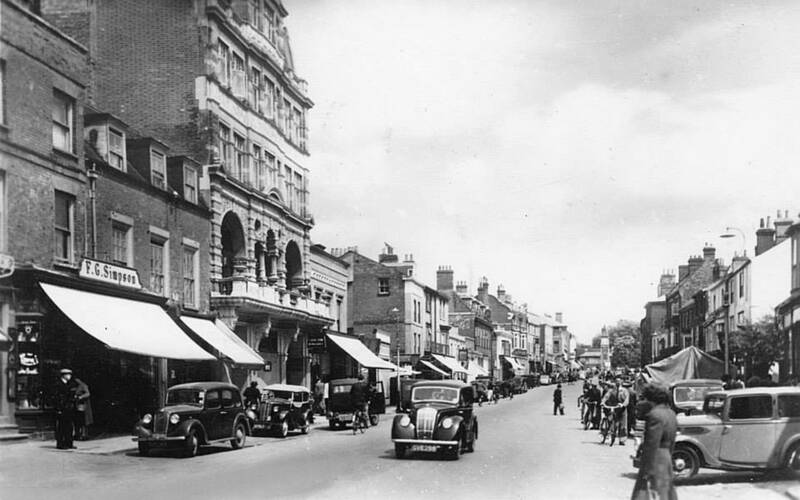 Simpson mid 1940s', 'George Simpson c. 1912' and 'Simpsons Stationers c. 1918'.